The Good Life Digest: The Investor Mentality: How To Turn Your Pocket Change Into Wealth? The Investor Mentality: How To Turn Your Pocket Change Into Wealth? Throughout history there are people who left an impact in the world. One of those people is self-made billionaire J.R. Simplot. He made most of his money off agriculture. His story is simple, but has impact. We often hear of people wanting to make money quick by winning the lottery, flipping houses or created automated businesses quickly. Everyone stressing the path towards easy money with minimal work. His approach was to grow his money slowly over the years into a large piece of wealth with hard work. One particular part of this book that stood out was when he was given these malnourished sick lambs that nobody wanted because they would eventually die and be of no use. They could be saved, but that took hard work and proper care. But who would want to take care of sick lambs when you have ones that are already healthy? Simplot took it upon himself to nurse these ill lambs to health with some care and hard work. Eventually he sold them for profit. By his teens he had employees and land. Taw is a term from the game of marbles in which taw was the shooter, the agent essential for further gain. In other words, taw essential to grow and must never be spent or lost. If you do happen to lose your taw, you can’t and won’t have anything to invest in. You basically lose in this game. As you can see, this is standard simple advice from a billionaire. Think of when you were a young adolescent and your parents gave you $5 or even $70. You were excited because now you can buy yourself some candy or sneakers. Most people did just that. He invested his money in buying newspapers and reselling them for a profit. In other words, he kept his taw and grew his capital. By the way…he was 8 years old when he did this. Now, you can see how some of these extremely successful people’s minds work. How far and advanced their thinking was. Pretty much everyone one of us has some pocket change, but how many of us respected that small sum of money? How many of us were just consumers in things that have no value? Almost all of us had the opportunity to do this. The thing is we didn't. I see people complain about being charged for programs and books that have knowledge from really successful people. As if we are entitled to having something for free. Even if it were free, people wouldn’t appreciate the value of it and put it to the side. Yet, many spend large amounts of money on things that depreciate and have practically no value. And on top of that are so adamant that someone who tries to offer value is scamming them. How backwards is that mindset? As a result, we complain that we are getting nowhere in life, it’s unfair and that the government should save us because we can’t save ourselves? That is a formula for a miserable life. The point isn't to completely live a stoic life. The point is to have an investor mentality. 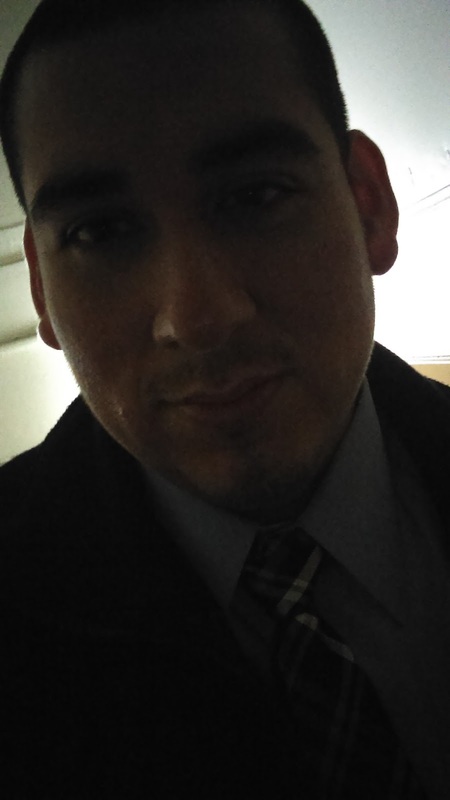 To invest in yourself when that once in a lifetime opportunity presents itself, you are ready. It can be a career, business opportunity or meeting that special someone. If you invested and held on to your taw you will stand out. You will be ahead of the game. Remember, to be trusted with a lot you have to be trusted with a little. 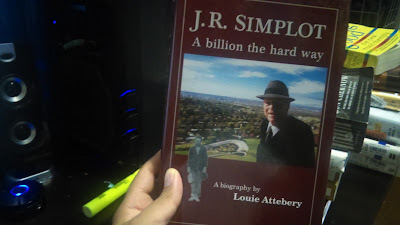 Get your copy of J.R. Simplot, A billion the hard way.